Counting Down was an enjoyable follow-up to Counting Fence Posts. Picking up a week after the events in book one, we join Marc and Henry as they’re on their way to a company New Year’s Eve party. Marc is still coming to terms with the fact that he’s gay and that the object of his newly discovered affection, Henry, is actually interested in him. Marc envisions The Kiss at midnight to be the best way to announce to his colleagues that he’s gay and to prove to Henry that he’s all in. However, disaster seems to be a close companion for this new couple as Marc and Henry find themselves locked in the building’s basement instead of upstairs for the party. I thought Jensen did a fantastic job of capturing Marc’s character and the change in personal attitudes he’s dealing with. Marc is trying to find a balance between his heterosexual upbringing and thought patterns and how he thinks he now needs to approach dating men, specifically Henry. He doesn’t want to offend Henry by treating him as he would a female partner, but Marc also doesn’t want to not give Henry the attention and concern he should simply because “guys don’t talk about their feelings.” Because the story is told from Marc’s point of view, we don’t get a lot of insight into what Henry is thinking. However, Henry is a good communicator – when he can get Marc to shut up – and it’s easy to see that while Henry wants things to work out between him and Marc, he’s willing to do what he can to make this transition for Marc easier. Obviously, the date did not go quite as planned, but Jensen does manage to include a steamy and well-timed scene in which the guys get all hot and bothered, ringing in the New Year in their own way. If you’ve read Counting Fence Posts – and I strongly suggest you do that first so you have the background on how these two came to be – don’t pick this up expecting to find the happy ending of Marc and Henry’s story. Counting Down is more of the next chapter in their blossoming relationship and it left me hoping that Jensen will be inspired to continue to move their story forward as this is a couple I would definitely like to read more about. For reviews & more info, check out our Counting Fence Posts post. 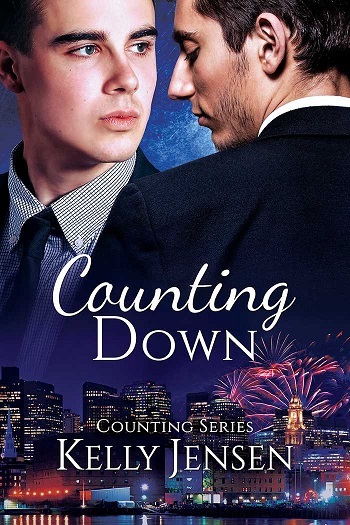 Reviewers on the Wicked Reads Review Team were provided a free copy of Counting Down (Counting #2) Posts by Kelly Jensen to read and review.